On Daredevil Season 1 Episode 13, Fisk's world came crumbling down as Matt, Foggy and Karen built their case against him. What did you think of the finale? Let us know! Both sides suffered major losses on Daredevil Season 1 Episode 11 and Daredevil Season 1 Episode 12. Which characters met their makers? Read our review to find out. Foggy and Matt found themselves at odds after the truth was revealed on Daredevil Season 1 Episode 9 and Daredevil Season 1 Episode 10. Read on to see if they worked it out. Our hero and villain dealt with daddy issues in Daredevil Season 1 Episode 7 and Daredevil Season 1 Episode 8. However, they went about things very differently. Read on! Daredevil Season 1 Episode 5 and Daredevil Season 1 Episode 6 eliminated the Russians as major players, while Matt and his friends learned more about Fisk. Read on! Daredevil Review: A Head-Smashing Good Time! Daredevil Season 1 Episode 3 and Daredevil Season 1 Episode 4 provided us with a couple of cringe-worthy WTF moments. What were they? Read our review to find out. The Night Nurse saved our battered hero on Daredevil Season 1 Episode 2. Does she stick around or do Matt's method's intimidate her? Read our review to find out. 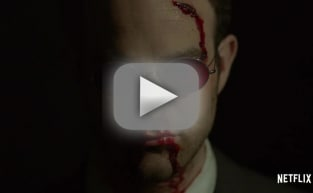 Daredevil Season 1 Episode 1 introduces us to Matt Murdock; lawyer by day/vigilante by night. The first case was solved, but it's just the beginning. Check out our review!